Dreams Punta Cana Gives Back: Reforestation in La Altagracia! At Dreams® Resorts & Spas, we love creating amazing vacation memories for our guests — and we take great pride in the incredible destinations we call home! That’s why we’re committed to protecting and preserving them through community service and high standards of excellence. Today, we’re spotlighting some of Dreams Punta Cana’s efforts to reforest the beautiful natural environment surrounding the resort. Read on to learn more about a recent day of service our staff participated in! The staff of Dreams Punta Cana Resort & Spa recently participated in a reforestation effort in La Altagracia! Celebrating ‘Global Waste Pickers Day’ at Dreams Punta Cana Resort & Spa! We feel so honored and privileged to spend every day in such a beautiful, natural landscape which is why preserving the environment is so important to all of us at Dreams Punta Cana Resort & Spa! 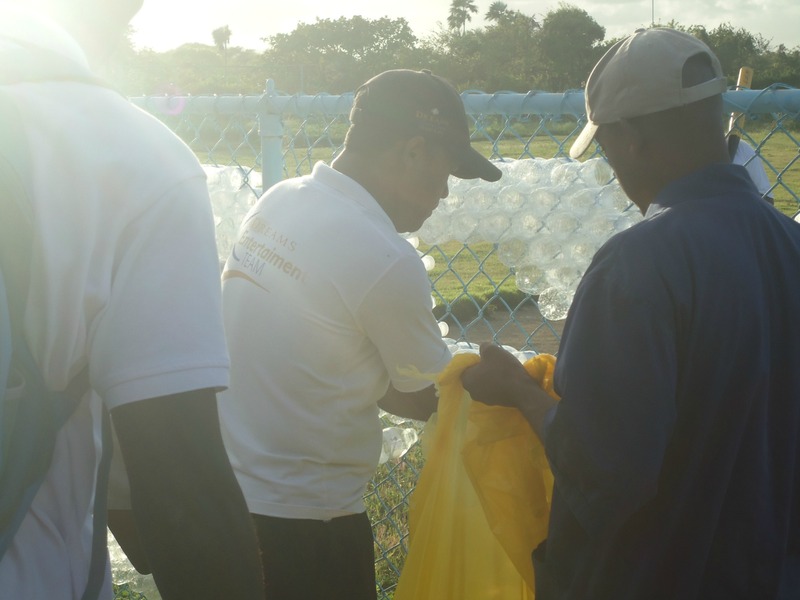 In honor of Global Waste Pickers Day, and as part of our recycling program, on March 2, 2015 we conducted integrated activities with our staff, including a talk about ‘Recycling, Reusing & Reducing’ hosted by Ecoservices Dominicana®. 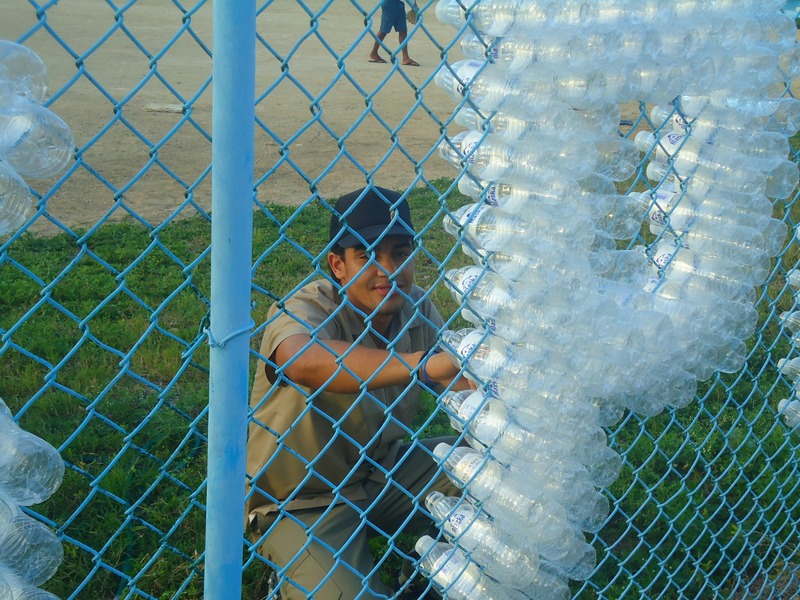 A company dedicated to improving the natural environment and contributing to the cultural development of the Dominican Republic,Ecoservices Dominicana® and our staff, created artwork using reusable solid waste, like plastic bottles, in order to reduce environmental pollution. Thank you to everyone who participated in this important and educational event! Check out some of our favorite photos from this great day! 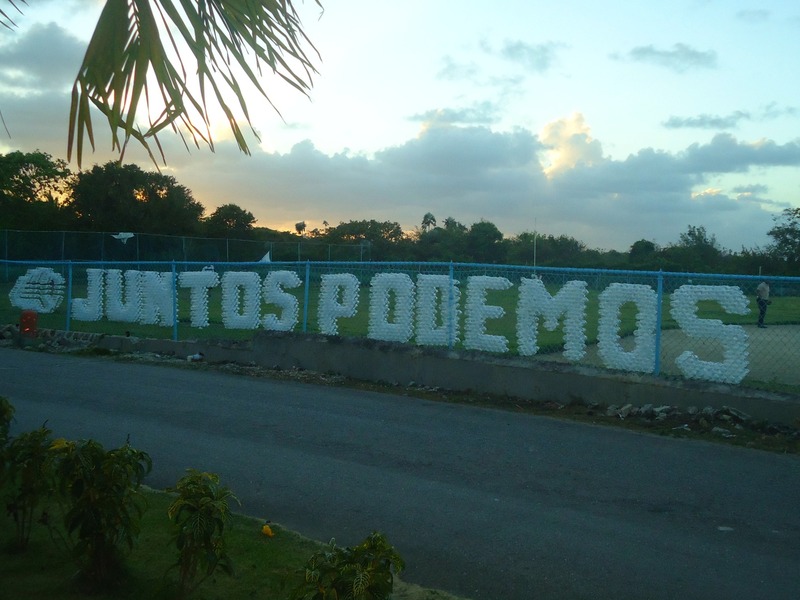 “Together We Can” at Dreams Punta Cana Resort & Spa. 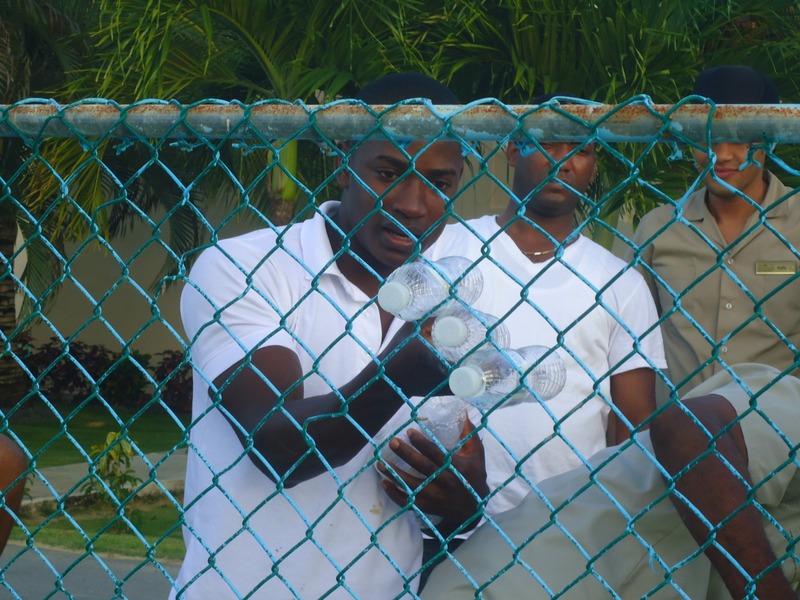 Dreams Punta Cana Resort & Spa staff members participate in ‘Global Waste Pickers Day’ activities. Staff members spell out a phrase with recycled plastic bottles at Dreams Punta Cana Resort & Spa. A staff member puts the finishing touches on the ‘Global Waste Pickers Day’ display at Dreams Punta Cana Resort & Spa. We make a continual effort to keep our resorts environmentally friendly throughout the entire year. To book your stay, visit online today! What an honor! 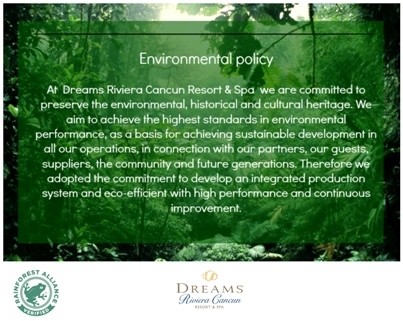 Dreams Puerto Aventuras Resort & Spa and Dreams Villamagna Nuevo Vallarta have been recognized as Rainforest Alliance Verified™ resorts for their commitment to reducing the impact of its activities on the plan and local communities. This is a notable distinction and one that each of our resorts is extremely proud of! 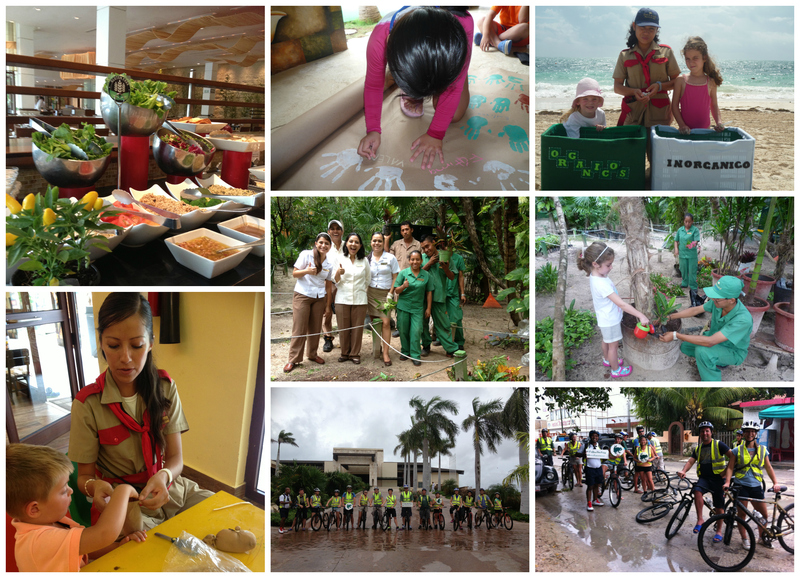 You can play a part in Dreams Puerto Aventuras’ social responsibility program with its Plant a Tree Project! While you’re here with us, plant a tree on a piece of land in the surrounding community that the resort has adopted. You’ll receive updates from the resort as well with information and pictures of your growing contribution, too! To learn more about Dreams Puerto Aventuras or Dreams Villamagna’s social responsibility programs, please visit our Socially Responsible webpages: Dreams Puerto Aventuras and Dreams Villamagna. You can also inquire with the concierge about how you can contribute.